♦ All adults have the right to independence, which involves a degree of risk. The safeguarding of adults is an important issue for the Trust. Working on a multi-agency basis is an important aspect of protecting adults at risk (vulnerable adults). The Care Act (2014) provides a clear legal framework for how health and partner agencies should protect adults at risk of abuse or neglect. The Care Act 2014 replaces No Secrets guidance (2000) and makes Safeguarding Adults a statutory duty. The Trust supports the benchmark set by the DoH (2011) to safeguard adults at risk of abuse. The level of needs is not relevant, and the adult does not need to have eligible needs for care and support, or be receiving any particular support, or be receiving any particular service from the local authority for the duties to apply. An Adult at Risk (vulnerable adult) may be the subject of actual or potential abuse from a third party. Modern slavery – encompasses slavery, human trafficking, and forced labour and domestic servitude. Abuse may consist of a single act or repeated acts; an act of commission or omission - i.e. due to a specific action or behaviours causing harm or by neglect or omission leading to harm. It may also be by exploitation leading to harm. 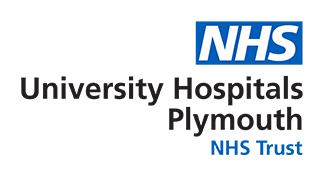 Contact us via email on plh-tr.sga@nhs.net or call us on 01752 439053.